Every 1 Packers and Movers offer’s highly reliable and swift goods unpacking services which are carried out by trained professionals. The company offers packaging material for packing and the safe transportation of goods. Southern Express Packers and Movers – Hyderabad is one of deep-rooted business entity in this domain and is into rendering Packing and Unpacking Services. 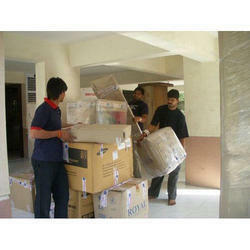 We are provides best packaging and moving services to the customers. For reliable and secure packing and then moving, we bring in use the materials like Jute cloth, wooden plywood, wood particle board, oriented strand board or veneer peeler cores, sawdust, wood wool and raw wood cut into thin pieces. Ankit Packers and Movers offers highly reliable and swift goods unpacking services which are carried out by trained professionals. The agency offers custom designed packaging material for packing and the safe transportation of goods. Sri Shiva Shakthi Packers & Movers offer’s highly reliable and swift goods unpacking services which are carried out by trained professionals. The company offers packaging material for packing and the safe transportation of goods. Unison Relocation Packers and Movers - Hyderabad offers highly consistent and well-organized goods packing and unpacking services to make certain safe and annoy free transportation of goods through the longest and the roughest of routes across India.